Managing people is the most challenging part of any leader’s job. And that job’s not getting any easier as the human resources profession grows more dynamic and constantly changes. 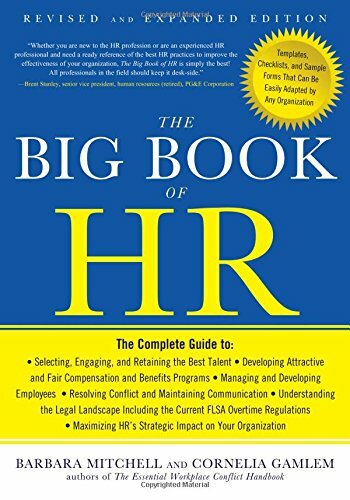 The Big Book of HR provides any business owner, manager, or HR professional with the most current information to get the most from their talent―from strategic HR-related issues to the smallest tactical detail of managing people. Each topic covered includes information on associated legal issues―such as the recent changes to the Fair Labor Standards Act’s overtime regulations―and stories from leading organizations to illustrate the positive impact human resources can have on organizations of any size. Each chapter ends with discussion questions to encourage additional thought. Sample forms and templates plus a list of additional resources are also included.